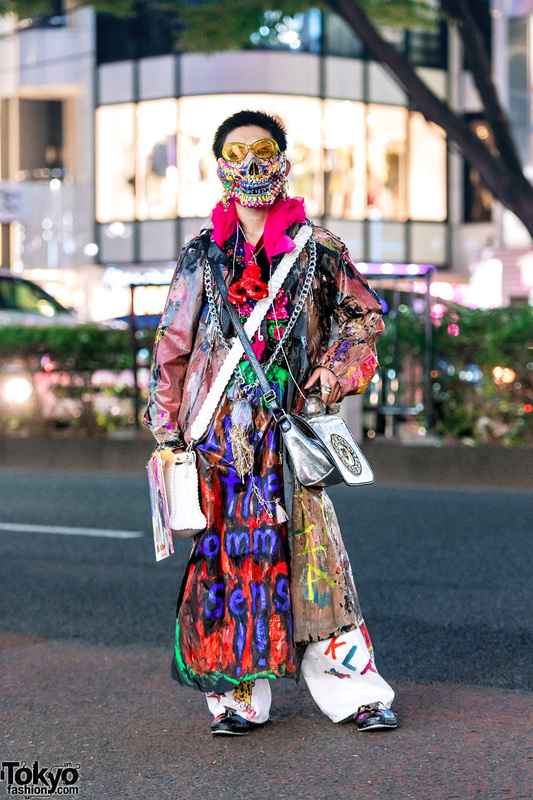 In Harajuku we snapped Kanji, whose art and fashion has been posted here before. 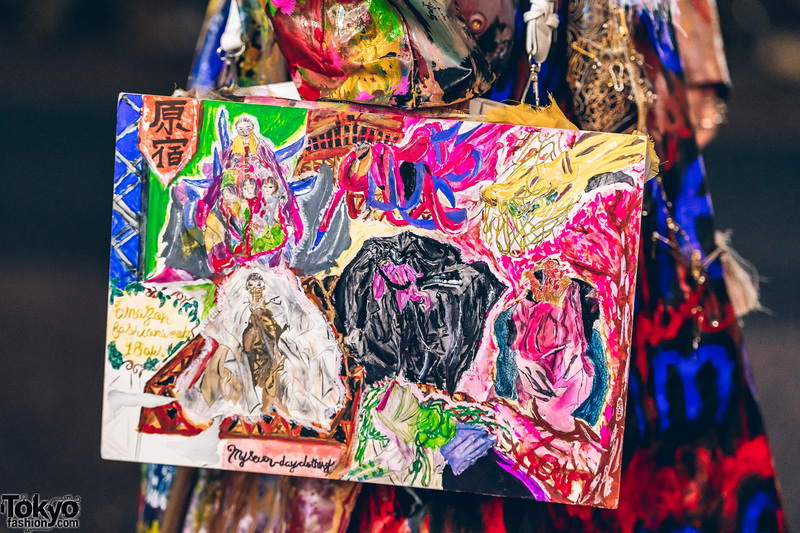 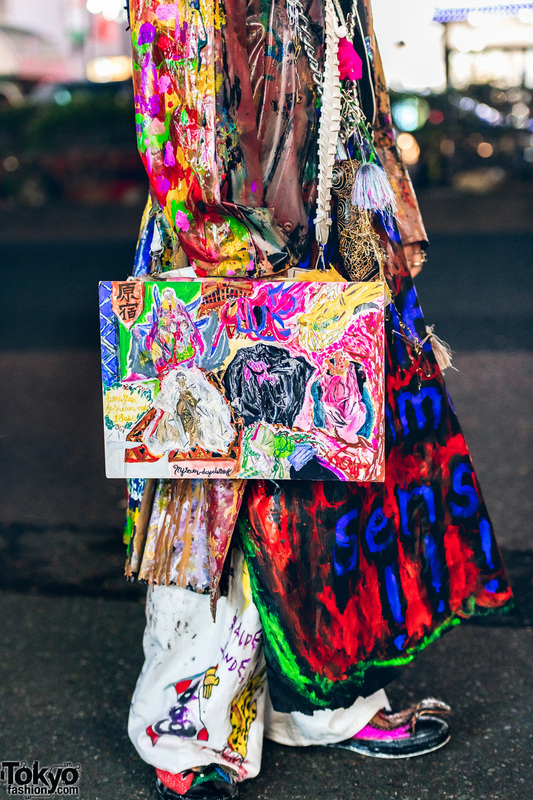 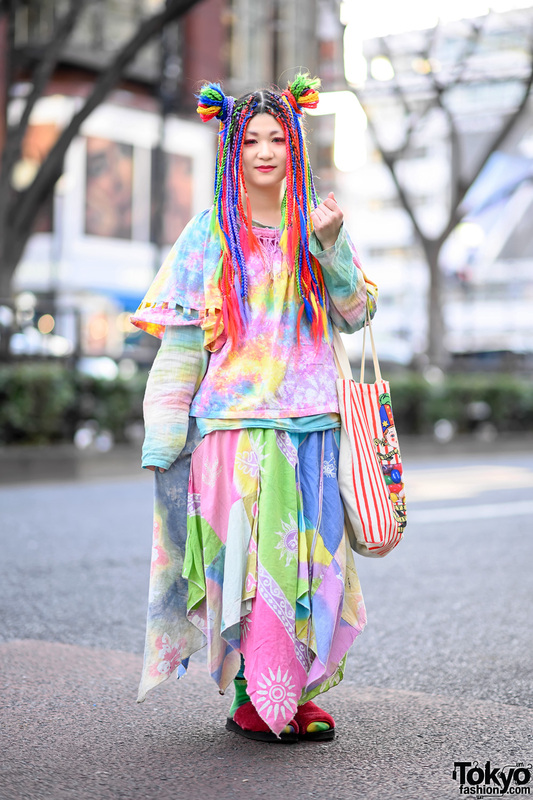 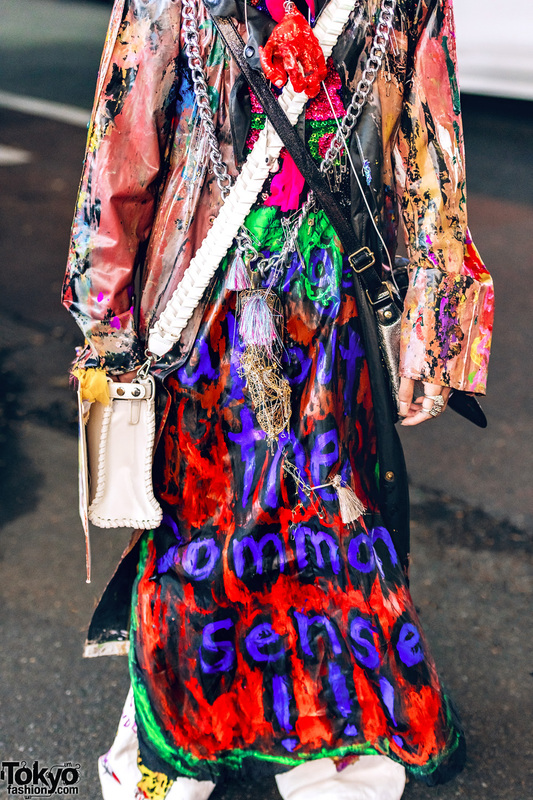 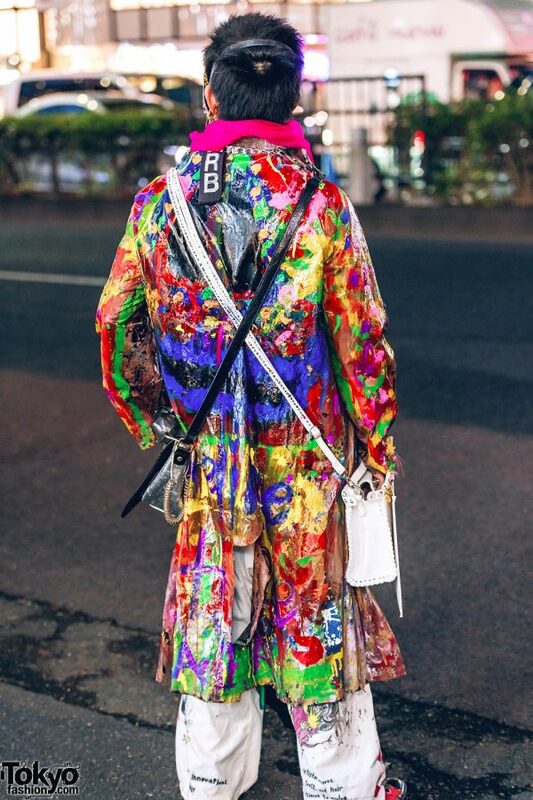 The 18-year-old student wore handmade pieces such as a paint-splattered long coat, a brightly sequined top, and white pants adorned with colorful designs. 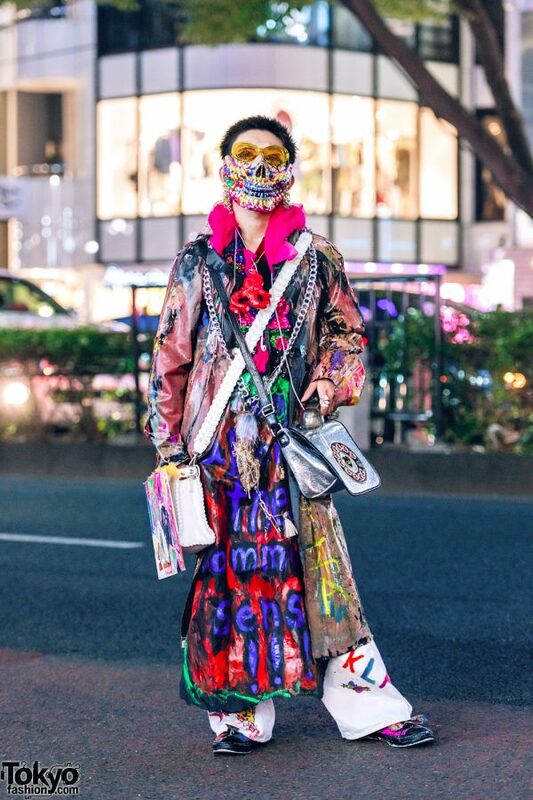 He’s carrying a Prega silver telephone crossbody bag and a handmade bag with colorful illustrations. 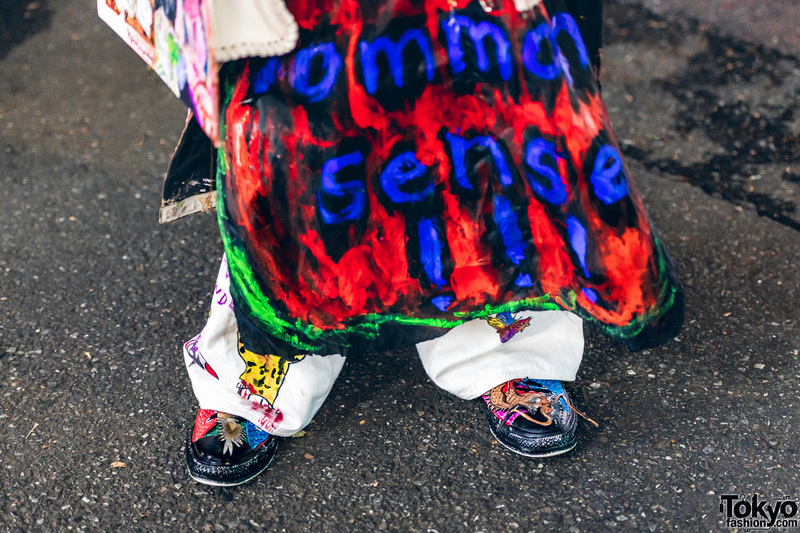 Kanji kept up the colorful motif with striking shoes from Dog Harajuku. 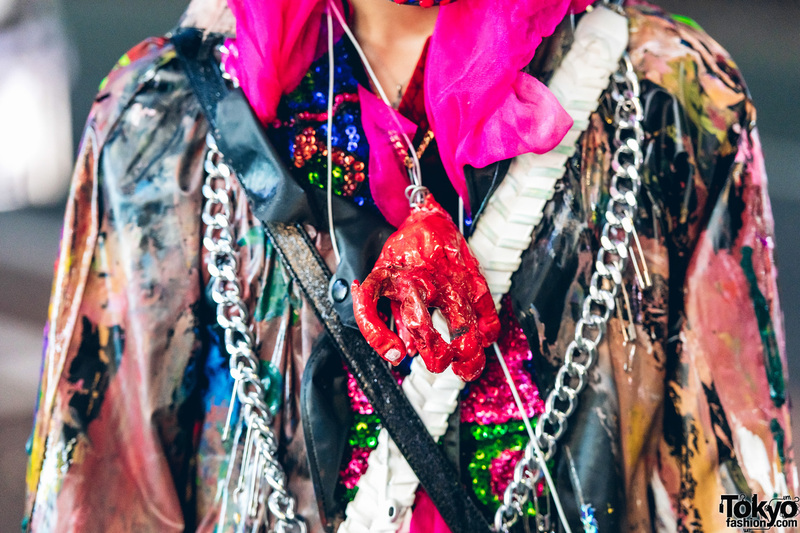 His accessories – some of which are from Garb – include yellow sunglasses, chunky rings, a large silver chain necklace, safety pin details and fringe trims, and a red mangled hand pendant. 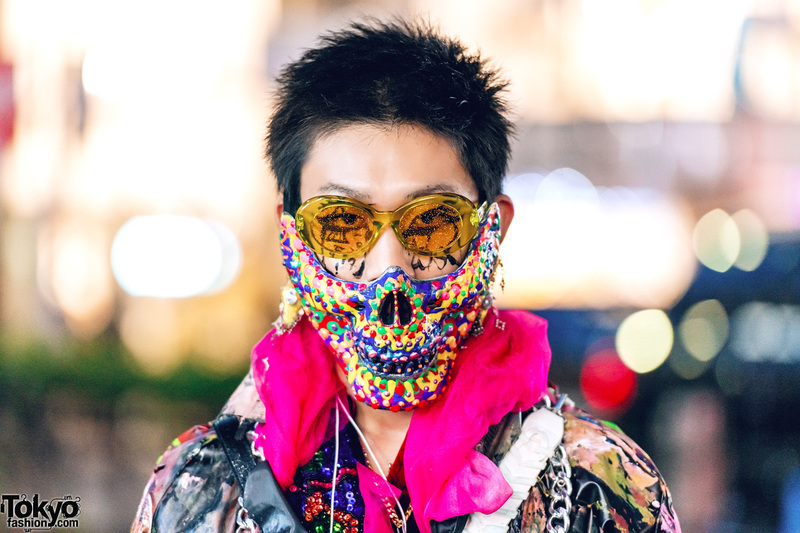 A colorful face mask provided the finishing touches to his look. 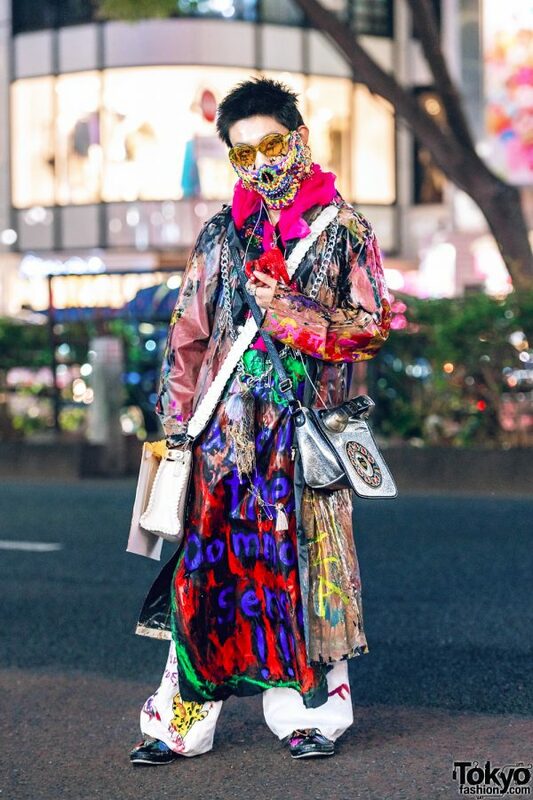 Kanji’s favorite fashion brand is Iris van Herpen. 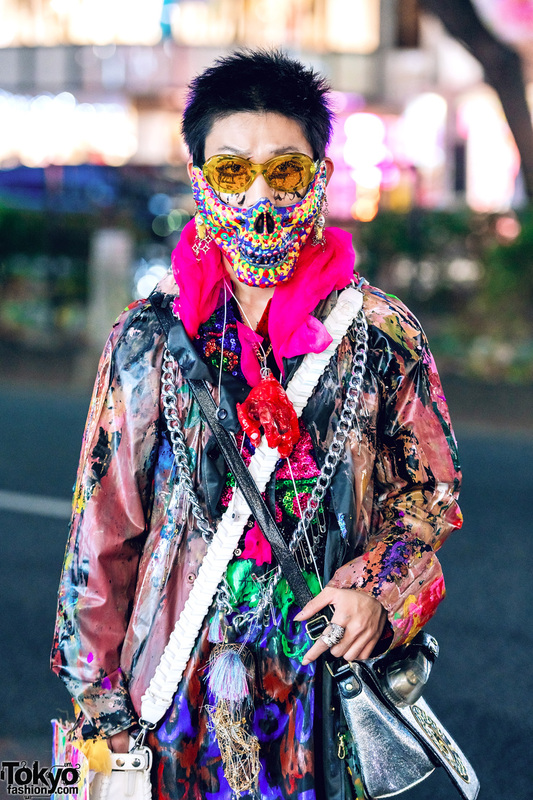 Follow Kanji on Instagram and Twitter for more of his creative looks and avant-garde fashion.